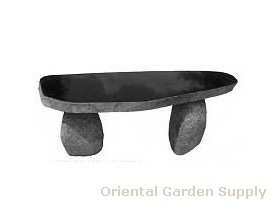 Product Information : A lovely polished basalt slab rests on two rounded stones. The natural look of this bench helps it blend into any garden environment! Measures 40-48in long and 17in high.